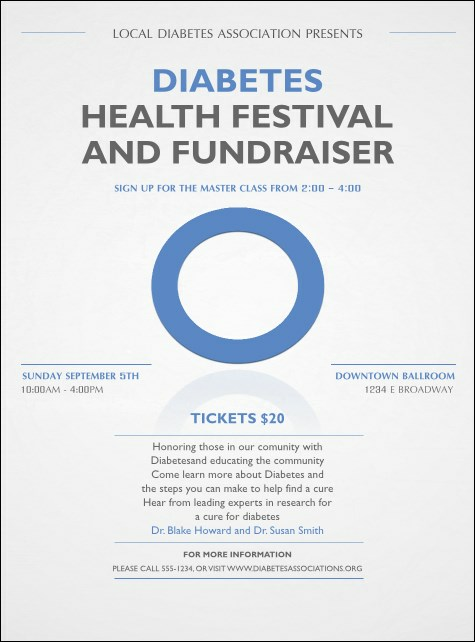 Show your support and encourage others to join you when you post the Diabetes Flyer before your fundraiser or awareness event. A simple blue circle reflects on a white background on this elegant design. List important benefit details in nineteen lines in the template.